Today it is commonly believed that advanced business is a European or even American invention, while the Middle East is a place of eternal non-economic conflict. Yet in reality, the first enterprises and banks evolved in Iraq and Syria, many millennia ago. For most of human history, the bazaars of Aleppo, Baghdad, and Hormuz have been among the most outstanding, and prosperous, centres of global commerce. Between crises and bloodshed, this long tradition of commerce still lives on, and could promise a free market renaissance for the Middle East. Iraq and Syria feature heavily in the news, and the focus is nearly always on human suffering. Yet it was in the same countries that the first entrepreneurs, the first enterprises, the first early banks and the first early financial speculators emerged around 4,000 years ago. Around a thousand years later, the ancient Western civilizations of Greece and Rome imported the concept of enterprise from the Middle East. Yet the ancient Greeks and Romans never embraced it wholeheartedly. Whereas the ancient Middle Easterners viewed commerce and enterprise in a positive light, the Greeks and Romans --- particularly the aristocratic or patrician classes --- had a different opinion. They regarded it as low-status work, which should be left to foreigners, freedmen of low standing (helots and plebeians), and slaves. In many cases the business leaders, trade ship captains and bank managers of ancient Greece and Rome were often native of the Middle East. At Empire’s peak, Turkey and Syria were two of the Roman Empire’s wealthier provinces. When commerce was hampered by government central planning in the European parts of the empire, it thrived in the East. Centuries before the Romans arrived, standardized gold coins were minted in Turkey by King Croesus around 550 BC --- a historical first. The king's wealth is still remembered in the phrase “as rich as Croesus”. A common view today maintains it was Adam Smith, the father of modern economics, who first described the phenomenon of specialization in the marketplace. This makes perfect sense according to modern Western thinking. This jibes with the notion that the first well-functioning market economies developed in Europe, making Adam Smith the first to describe how the invisible hand of the market made society prosperous. However, Xenophon gave an almost identical description of specialization on the marketplace when writing about the economy of ancient Persia – 2,000 years before Adam Smith was born. Xenophon’s writing from ancient Persia also includes the first account of how a wise government should govern a market economy: based not on efficiency, but solely on making voluntary exchange possible and protecting private property rights. Already before the rise of Islam, the deep deserts of the Arabian Peninsula had thriving cities, which lived of the specialized manufacturing and export of goods. The Arab tradition of trade lives on in the faith and traditions of Islam. The Prophet Muhammed himself was a merchant for many years. He married his first wife Khadija, a renowned merchant capitalist, after having managed some of her trade affairs. Khadija is seen as one of the most important female figures in Islam, commonly regarded by Muslims as the “Mother of the Believers.” She is a rare example of a ancient female entrepreneur who had a demonstrable impact on history. When the tribe of Quraysh in Mecca gathered their caravans to embark upon the summer journey to Syria or the winter journey to Yemen, Khadija’s caravan equaled the caravans of all other traders of the tribe put together. During the Islamic Golden Age, Middle Eastern trading cities prospered through enterprise. During the early Middle Ages, Baghdad was one of the wealthiest cities in the world, as seen in the stories of the One Thousand and One Nights collection of Middle Eastern folk tales. In these tales, the heroes are often merchant capitalists, who – through their pursuit of wealth – benefit themselves as well as the rest of society. The Eastern tradition of portraying entrepreneurs as heroes differs sharply from the modern Western tradition, in which the agent of an economic enterprise is often the villain, and the hero characterized by his disregard for material wealth. Modern Western institutions are shaped in accordance with the principles of the market economy, but contemporary culture --- influenced in large part by elements of Christianity and its secular off-shoot, Marxism --- still retains a hostile view of enterprise, commerce, and wealth accumulation. On the contrary, these things are all celebrated in Middle Eastern cultures. 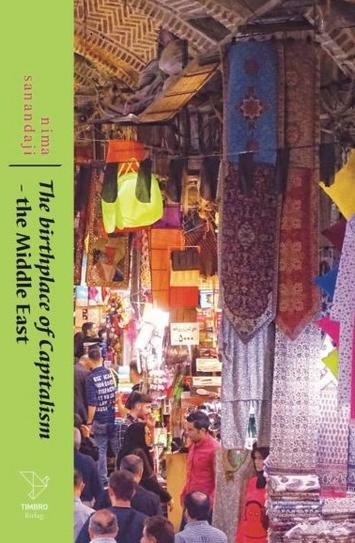 Of course, the market-based exchange in the historic Middle East competed with feudalism, tribalism, and state control. In rural areas, much of the population was mostly self-sufficient farmers. Yet, in several cities in the Middle East, North Africa, India, and China mature and durable market institutions emerged. The Silk Road bound together these market centers, and merchants brought the goods from Middle Eastern market cities such as Aleppo to Europe and Africa. Today, the story of globalization and commerce is told almost exclusively from a Western viewpoint. However, much of the development occurred in the East and the South. Zanzibar and other trading cities across the Swahili Coast, for example, grew wealthy by attracting African, Arab, Persian, Malaysian, Indonesian, Indian, and Chinese merchants. Proponents of economic freedom focus almost exclusively on the Western origins of free-market ideas. In fact, many of these ideas originated in Eastern philosophy. The Tale of the Moneyed Rat Trader is an old Indian folktale which explains how voluntary market exchange and capital accumulation can allow even the most impoverished individual to climb the social ladder. The idea that government tax revenues will fall when the tax rates reach a certain level is today associated with the U.S. economist Arthur Laffer. This theory was originally developed by the 14th century North African Arab intellectual Ibn Khaldun, who used the theory of stifling government taxation to explain the rise and fall of entire dynasties. In Qabus Nameh, a major work of Persian literature from the 11th century A.D., the mythological king of Iran, Kai Kavus, advised his son on economic matters. The ideas of rational self-interest expressed in this work lies very close to the thinking of Western free-market intellectuals such as Adam Smith and Ayn Rand. This long tradition of enterprise is evident also today. Iranians, Arabs, Turks, Jews, Kurds, Armenians and the myriad of people who inhabit the Middle East have widely different cultures. Yet they are all dealers and hagglers, with market exchange almost encoded into their cultural DNA. Middle Eastern immigrants to Europe and the Americas have high rates of entrepreneurship. It might not be recognized in the West, but there is a great deal of interest to shift towards free markets in countries such as Iran and Saudi Arabia. Corruption, oil-dependency and war have so far hampered the development – but a market renaissance for the Middle East is certainly a possibility. But this will also need changes in the attitudes of the west, as well as the other great capitalism, that of east Asia. There have always been two different forms of Western approaches to the Middle East. One is to trade openly, such as Venetians did during the Renaissance. By combining the Middle Eastern market model with their own ideas, the Venetians gave rise to the modern capitalist model which today has spread to most of the world. Today the US is all too comfortable with the British approach of gunboat diplomacy and sanctions. It’s likely that a more market-oriented approach could be more successful than the endless involvement in wars, particularly as the US no longer needs Mideast oil. Ultimately it is not possible to ‘fix’ the Middle East with military intervention. Encouraging free market exchange is the only peaceful way forward. At the very least, history teaches us a simple lesson: either goods will cross the borders of the Middle East, or armies will. Free market policy might be the solution for a region in which Marxism, religious radicalism and western intervention have all failed to bring stability.